This is the third post in a short series about using SeeSaw as a tool to amplify classroom practice in order to help students meet instructional goals. You can read the first post here, and the second post here. I couldn’t stop thinking about my terrible bookmark tool all weekend. I could spend several paragraphs critiquing it, but I won’t belabor the point. That clunky bookmark is out and I’m keeping it simple. One digital anchor chart to help students with the procedure and remind them of a key teaching point. (This is where I had to go back and really ask myself “What is it that we want students to practice and apply in this lesson? We want them to write about their thinking!) Normally I build charts with students, however in some cases I prepare something ahead of time. The digital format makes it easy to adjust to add student thoughts and ideas. You can view the full size document of this chart by clicking on the image. One sheet to hold thinking. This is my six box sheet. A very simple layout. I added four more boxes on the back and the sentence stems from my original book mark. (shudder!) I figured that was the most important scaffold and one that we have seen some students use with success. I don’t know if this will help all kids or hold them back, but time will tell. The front of the six box sheet. This replaces sticky notes and is a little neater. You can see the full document with the back by clicking on the image. One digital tool-SeeSaw. Students will access articles via SeeSaw and gather ideas into a comment underneath the article that they chose to read. I like to offer several options for text so that students have some ownership and choice in the work they are going to do. So I’m feeling a lot more prepared now that I’ve dumped my confusing tool! Tools should help, not hinder kids. Simple is often best! 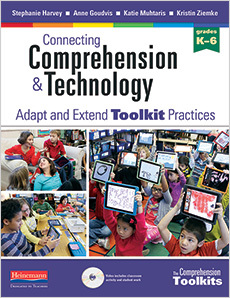 Teach kids a simple, yet effective, procedure for reading and responding to digital texts. This is to give kids more authentic work to do during workshop time, gather formative assessment data, and help them build stamina while the teacher works with small groups. *Just as a note this isn’t the only tool we will put in their toolbox. It’s the first of many. But this tool and strategy meets our immediate goals based on what we are seeing kids can do and where they need to go. Continue to reinforce a series of lessons designed to boost students’ ability to capture their thinking about text and expand that thinking in a variety of mediums. Please visit on Friday to see the outcome of this lesson, look at some student work with me, and think about where we can take these kiddos next! 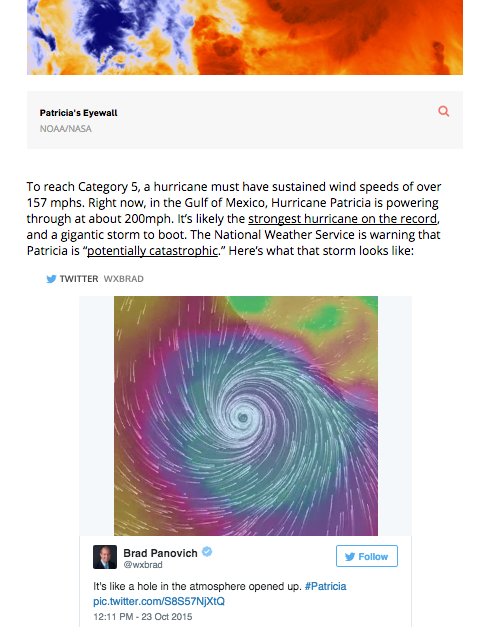 Earlier today I was looking for resources on extreme weather for one of my teacher teams and stumbled on this article. Below is a screenshot or you can click the link to read the entire thing. It gave me pause for thought because it’s peppered with embedded Tweets like the one in the image below. Now this is nothing new to me as an adult reader and a Twitter user. But I wondered how many students would recognize this new type of nonfiction text feature and know how to approach it. What might we want students to consider when they encounter an embedded tweet in an article? Perhaps that there has been a shift in author? Therefore a possible shift in validity. How do we look at the source and decide if it’s reputable? Is this an expert in the field like a weather person? Is this someone who is giving us a “from the scene” perspective? What image literacy skills might students need to interpret, connect, and synthesize the tweets with the body of the article? We’d love for you to share your experiences if you’ve tried using any articles with embedded tweets with your students. This year we’ve been working on harnessing the power of Social Media to build a reading community. This community is both within and beyond our classroom. Here are three ways you can start using social media to build reading community with your students today! Instead of just keeping a list of books we’ve read I had each student create a Padlet instead. This Padlet will hold a record of every book they’ve read this year. So far it’s working great! Students decide what and how much to write about each book and while some give a simple sentence and rating, others enjoy jotting more. We have a bulletin board in the classroom with each students’ picture and a QR code. Scan any student’s QR code and it will take you right to their Padlet. When readers are looking for a new book they check out each others Padlets to get ideas for what to read from classmates that they know they have reading tastes in common with. Every Friday I pull out my special bag that has five mystery books for the week. Instead of book talking every day which I’m bound to forget, I do my book talks on Fridays. We even have a jingle worked up and the students buzz with excitement when they see the bag out. They gather close to me as I sell each book and jot down titles on their books to read list. Then we photograph it and Tweet it out to our followers using the hashtag #5bookfriday. We would love for you to join us so that we can share amazing titles among classes. 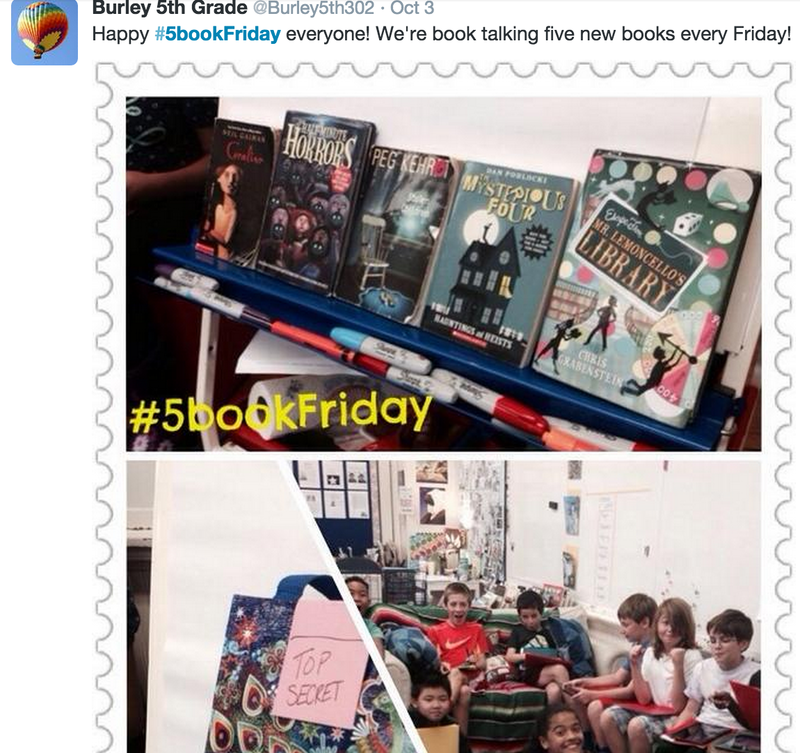 My students love to see what books other classes have in their #5bookfriday bags. 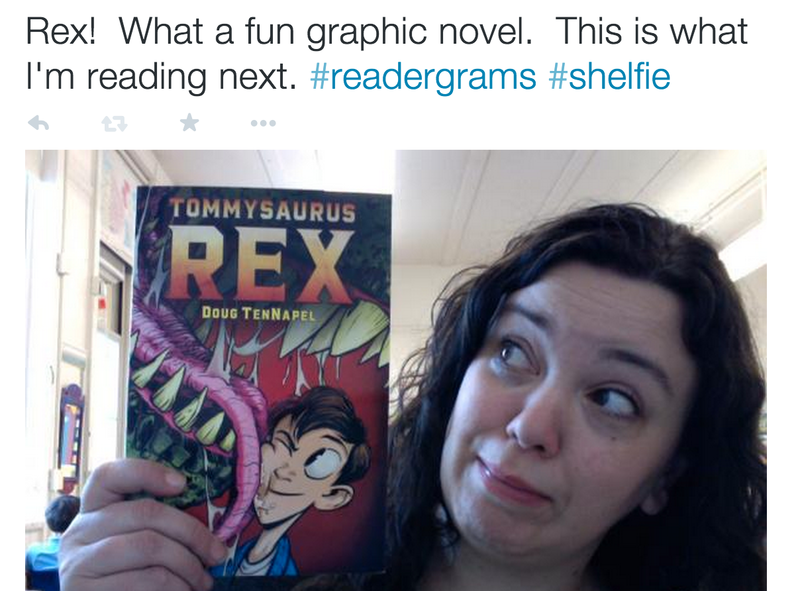 Or have students send a #readergram! 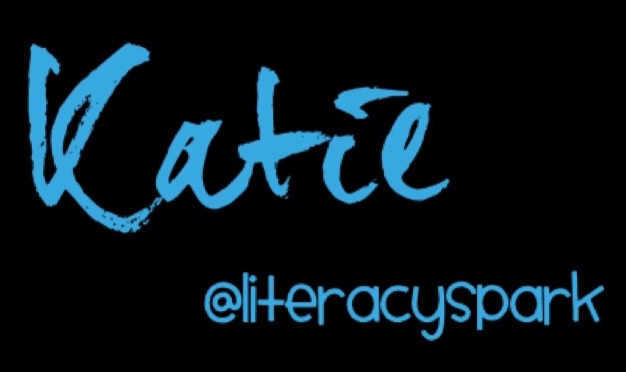 I was super excited about this idea this summer when Katharine Hale (@KatharineHale) sent me an email talking about her idea for #readergrams. 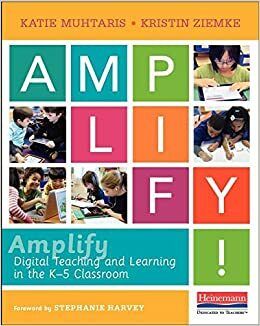 Students send out tweets, recommendations, questions, and reading needs using this hashtag to help build a digital reading community. We have found new titles to order for our classroom and made some great connections by participating in this fun Twitter community. If you don’t have your students blogging yet then start! Blogging is so powerful in connecting students with an audience. We teach them to write thoughtful posts, give supportive and constructive comments, and then reach out to an audience outside of our classroom to connect with. When students are aware of and connected to their audience they write more, they think creatively about how to construct posts, and they have more energy for their work. 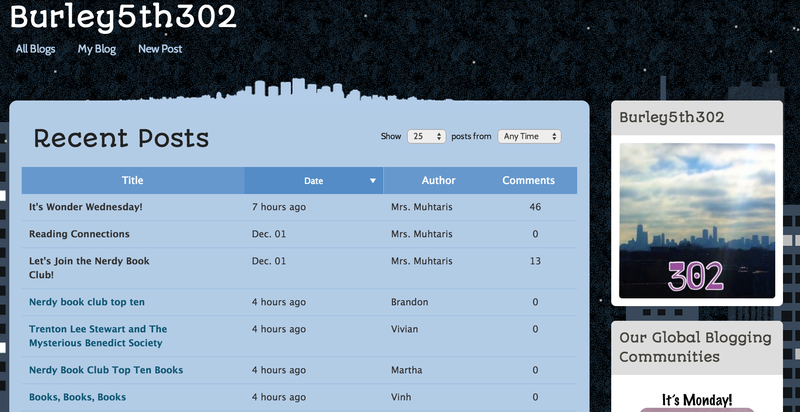 This year I’m getting my class involved in some of the global blogging communities that are going around for adults. But more on that later! 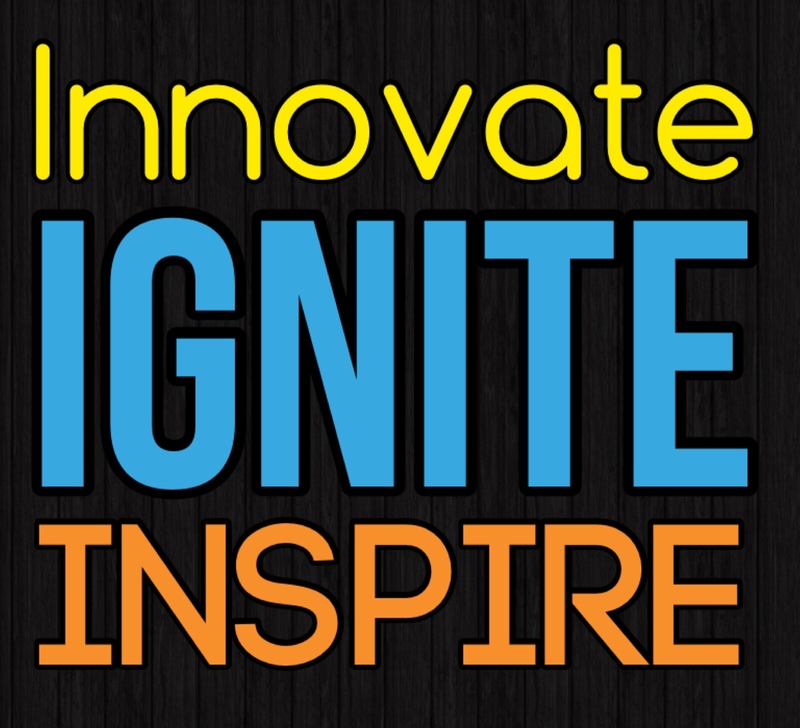 Social media is a powerful tool for connecting and we can show our students how to use it in a way that makes their work more meaningful than ever. So get out there and start connecting your kids today!